In mid February the Welsh Assembly members approved new rules which make it more straightforward for councils to tackle householders who pass their unwanted waste onto unauthorised people. 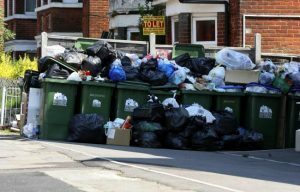 The new rules mean that householders could face a £300 fixed penalty notice if they do not get their waste removed in a responsible manner. 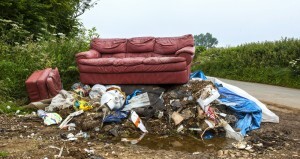 Current legislation means that householders can only be issued with a fixed penalty notice if they fly tip themselves. Whilst they can be prosecuted this can be costly to councils and leaves the householder with a criminal record when they could easily have handed over their waste in good faith. The new rules go that one step further and many see the move as essential in getting people to take complete ownership of their waste even after it has left their property. In just one year Welsh councils saw in excess of 35,000 fly-tipping incidents with clean up costs of around £2m for taxpayers in 2017/18. Regardless of who removes rubbish from a property the householder should take their duty of care seriously and ensure they hire an authorised person or firm. These measures are intended to reinforce this duty of care requirement and deter unauthorised waste firms which blight this issue. Whilst the rules may only come into force in Wales for the short term it sends a message to councils and Government about this growing problem in the rest of the UK. The fixed penalty of £300 may be reduced to £150 if paid early and it is reported that councils will be able to keep the money raised from fixed penalty notices to use towards enforcement and clean up. There are measures that any UK householder can take to protect themselves and demonstrate their duty of care has been executed. These include: using only an authorised waste removal firm like TH Removals – any such firm should be able to provide you a copy of their carriers license; asking for a written receipt for the waste that is being removed including detailed description and in addition a written declaration of where the waste will be taken to for disposal. It doesn’t matter whether you are planning to buy your first home or to move into a new rental, the chances are that if you are making your move this autumn, you will be paying higher prices than you would have done a couple of years ago. 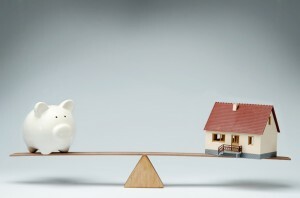 Both rents and the costs of starter homes have hit new highs, leaving many tenants wondering which of the options for their next move will make the most financial sense. The average amount spent by first time buyers has reached its highest point for two years, according to estate agency haart. The average cost of a first home is now over £160,000. The market is particularly difficult for first time buyers at the moment. Although the property market as a whole has experienced growth this year, the impact has been strongest for starter homes. In September, the average price for all properties actually dropped by 1.1%, but the average cost of a starter home rose by 4.1% in the same month. While the overall growth is now beginning to slow down, starter homes are still becoming more expensive, and there is more competition between first time buyers than in other parts of the market. However, with the numbers of prospective first time buyers registering with estate agents on decline, the situation might become a little better as the competition for starter homes is reduced. If these higher prices are enough to put you off buying for the moment, you won’t find much relief in the rental market. 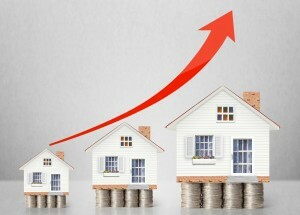 According to LSL Property Services, rents have also been on the rise recently. The average monthly rent in England and Wales has reached £768. However, the future could be looking a little brighter for tenants, since the rate at which rents are increasing has been showing signs of slowing down, as often happens at this time of year. In August, rents rose by about 2.4% on average, but the rise slowed to 1.5% in the following month. This slower growth is expected to continue into the next year, with an expected average monthly increase of 1.8% in the next 12 months. The news that landlords are making their highest profits in four years will not come as much of a surprise to any tenants who are planning removals between rental properties in one of the higher priced parts of the country, but it will be welcome news to anyone who is investing in rental properties. The cost of renting a typical home in England and Wales rose to £745 a month during May, a rise of 0.6% over the last month. Although this is a remarkable rise over such a short period, the good news for renters is that the rise has not been consistently sharp. The total rise over the last year was not quite twice this amount, at 1.1%, which means that rents have been growing at less than the 1.5% cost of inflation. On average, tenants are now paying just £8 more than they were a year ago, according to the estimates of LSL Property Services, so if you are looking for a new property to rent, you shouldn’t see much of a difference in the prices that are available in your area. In fact, the prices that you are being charged may have become cheaper in real terms, even if the actual figure seems to have increased, because the rise has been below the rate of inflation. You might actually be saving a few pounds even before your removals van delivers your belongings to your new home. However, although rents have not matched the rise of inflation over the last twelve months, this does not mean that landlords are suffering. The profits being made on rental profits have just reached their highest levels in four years, if rising property prices are taken into account. Landlords made an average of 5.3% per property during the last year, based on rental charges alone. However, when the total return on a rental property was calculated, taking vacant periods between removals, property prices and other factors into account, the average annual return was 12.2%, the highest level in four years. The average landlord has made just over £20,000 over the last year, with £8107 of this profit coming from rent.